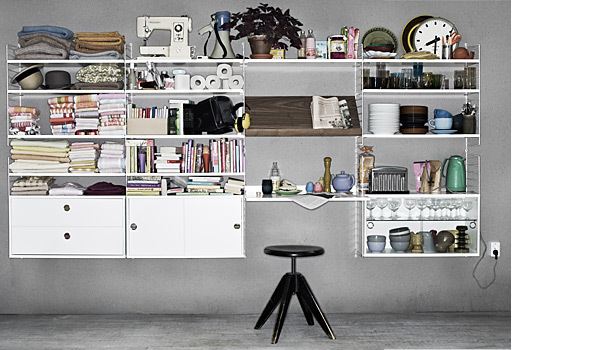 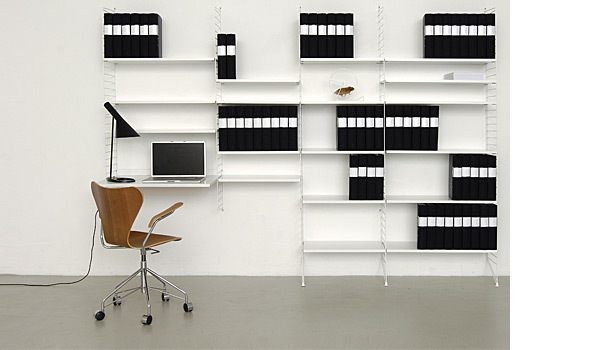 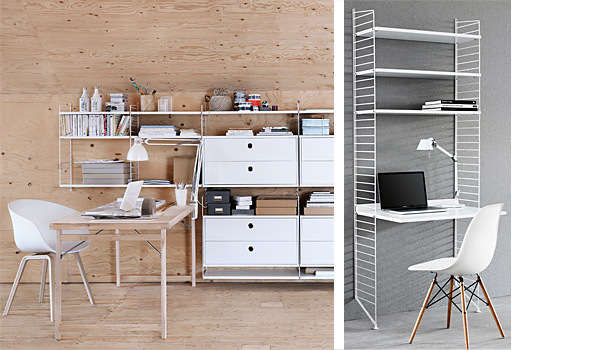 This light, yet stable, shelving system has been popular for more than 60 years! 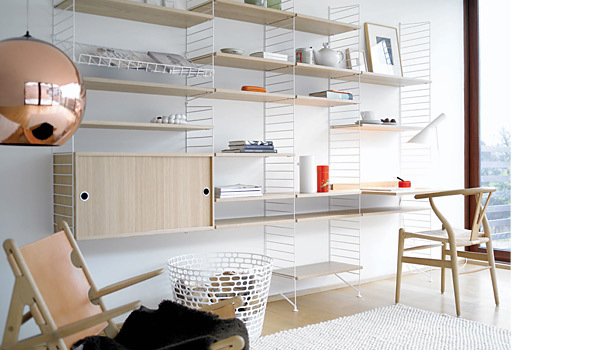 The framing gives the shelving a discreet but distinctive character with the ladder structure climbing up the wall. 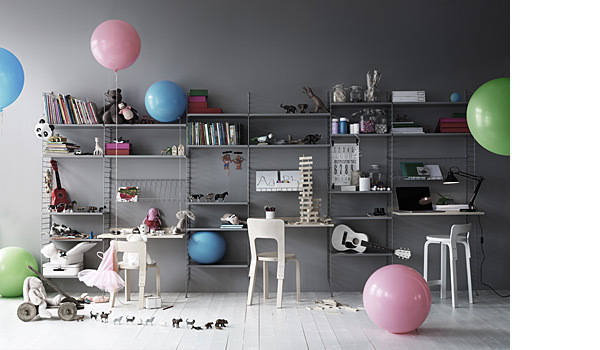 The classic String shelf is available in several colours and types, all easy to assemble, extend and combine according to your needs.